Another Hatchett Job... | Why Homeschool? “the look” and change the subject. But, this is often THE question in the whole educational debate! For people who are unfamiliar with homeschooling and how a homeschool family works (which can seem rather unconventional at times). I have hesitated to write on this topic because so many people have written so eloquently on the subject that I don’t know what I could add to the topic, but because it is a common question, I decided to throw my two cents worth into the fray. Over the next (gulp) 9 articles, I will address some of the topics that our family feels strongly about and that we considered heavily before we made the decision to homeschool. These will include school safety, socialization, academics, religion, flexibility, and some others. It’s tough to answer this question because it does encompass so many facets of our lives. And, that being said, homeschooling is a lifestyle choice because it will affect every aspect of how each family approaches life. 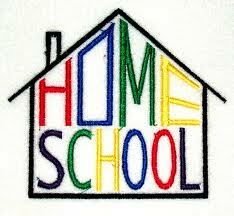 We don’t all live the same lives and homeschooling won’t necessarily look the same in all situations. But, that is okay! Variety is truly the spice of life and that is why often homeschooling families can help each other out with ideas, etc. that really can work. Sometimes it helps to shake it up a bit and that is exactly one of the strengths of most homeschool families that I know. I hope you will enjoy taking this look into the often overlooked world of homeschooling over the next couple 0f weeks. Please bear with me if this is not a topic you are interested in, as other types of posts will return soon. edited to add: these links will take you each post in the series. I will keep them updated as they appear on the blog. Do you homeschool? Why or why not? 3 Responses to Why Homeschool?